The biggest selling point for email marketing is simply that it works! Email marketing gets results, and gets them for less cost than other marketing methods. One of the frustrations with many marketing activities is that it can be very hard to tell what is working, and what is just costing money. When you conduct email marketing with us, you can see very quickly what is working, and what is not. Download our Email Marketing Guide to find out more and view some examples of our reports. If you have tried email marketing in the past, you may have been overwhelmed by unsubscribe requests, or bounces coming back to you. Or you might have tried a system that was just not fun to use. We can offer something better – automated processes that handle all the tedious subscribing, makes sure people can get off the list when they want to, and keeps track of emails that bounce. How much time did you used to spend doing those things? You could feature a different product each week or month, and offer special prices to frequent buyers. Maybe you can have case studies of customers using your service, and can segment your lists to send them to other potential customers in similar industries. You could email customers who have been out of touch for a little while, and ask if they have any suggestions. Want to view a working email design online? Or do you want to see a sample email in your mail client inbox? Seeing the real thing is much more convincing than words and graphs! Email us to request a sample. 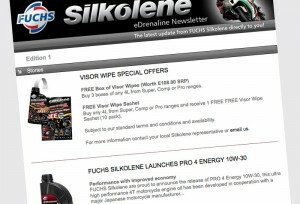 Or go to our email marketing works page for our latest examples.